While XML is emerging as the universal format for publishing and exchanging data on the Web, most business data is still stored and maintained in relational database management systems. As a result, there is an increasing need to efficiently publish relational data as XML documents for Internet-based applications. One way to publish relational data is to provide virtual XML documents for relational data via an XML schema which is transformed from the underlying relational database schema, then users can access the relational database through the XML schema. In this paper, we discuss issues in transforming a relational database schema into corresponding schema in XML Schema. We aim to achieve high level of nesting while introducing no data redundancy for the transformed XML schema. In the paper, we first propose a basic transformation algorithm which introduces no data redundancy, then we improve the algorithm by exploring further nesting of the transformed XML schema. S. Boag, D. Chamberlin and M. Fernandez, D. Florescu, J. Robie, J. Simeon, and M. Stefanescu. XQuery 1.0: An XML Query Language, April 2002. W3C Working Draft, http://www.w3.org/TR/2002/WD-xquery-20020430/. T. Bray, J. Paoli, C. Sperberg-McQueen, and E. Maler. Extensible Markup Language (XML) 1.0 (Second Edition), October 2000. W3C Recommendation, http://www.w3.org/TR/REC-xml. A. Deutsch, M. Fernandez, D. Florescu, A. Levy, and D. Suciu. XML-QL: A Query Language for XML, August 1998. Submission to W3C, http://www.w3.org/TR/NOTE-xml-ql/. D. Fallside. XML Schema Part 0: Primer, May 2001. 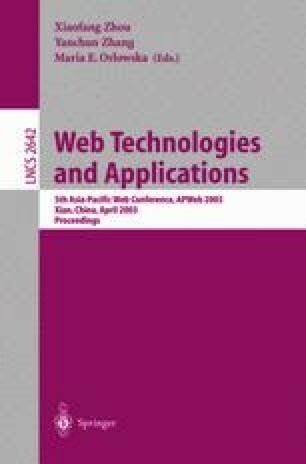 W3C Recommendation, http://www.w3.org/TR/xmlschema-0/.